The Louisville Bats swept a double-header from Durham with a 3-2 win in game one and an 11-5 win in game two. Offseason Louisville resident Matt Maloney surrendered one run on three hits in his first start of the season for the Bats in game one. Center fielder Dave Sappelt was 2-4 with one home run, three RBI and one run scored in game two. The Lexington Legends split a double-header with Kannapolis with a 3-2 win in game one and a 3-1 loss in a rain-shortened game two. Right-handed pitcher Carlos Quevedo surrendered two runs on five hits in five innings while striking out eight batters and walking none in game one. Right-handed pitcher Ruben Alaniz took the loss in game two after surrendering two runs in three innings. Mt. Sterling native and former Morehead St. infielder Drew Lee was 3-6 with one home run, one double, one RBI and two runs scored for Kannapolis in the double-header. The Bowling Green Hot Rods never overcame a five-run first inning from Great Lakes in a 12-5 loss. Third baseman Robi Estrada was 3-4 with one home run, one double, two RBI and two runs scored. Lexington native and former UK outfielder Collin Cowgill was 4-7 with two home runs, two RBI and four runs scored for AAA Reno. Walton native and former NKU outfielder Jake Shaffer extended his hitting streak to 12 games with a 1-5 performance for AA Jackson. Lexington Catholic alum Ben Revere was 4-4 with one run scored for AAA Rochester. Former UK outfielder Lance Ray was 2-4 with one home run, one double, one RBI and one run scored for low A Beloit. Lexington native and former UK outfielder John Shelby was 3-4 with one RBI for AA Montgomery. 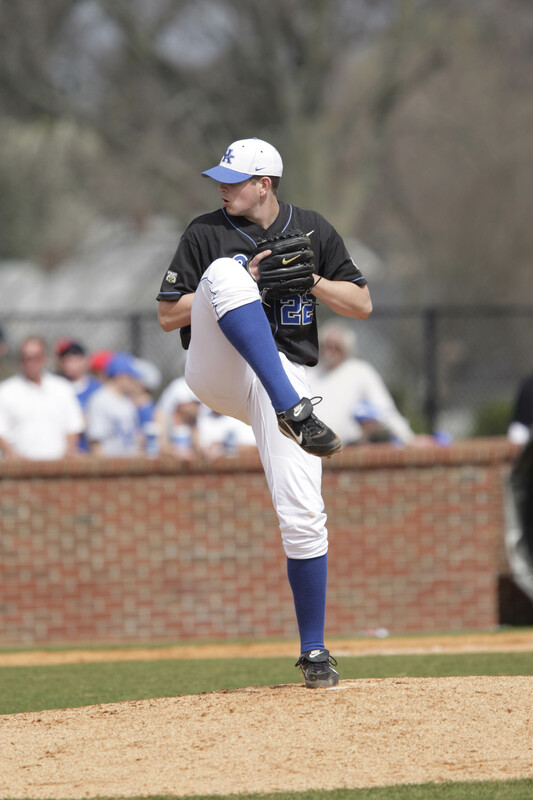 Former UK left-handed pitcher Logan Darnell took a no decision after surrendering two runs on two hits in six and one-third innings while striking out four batters and walking one. 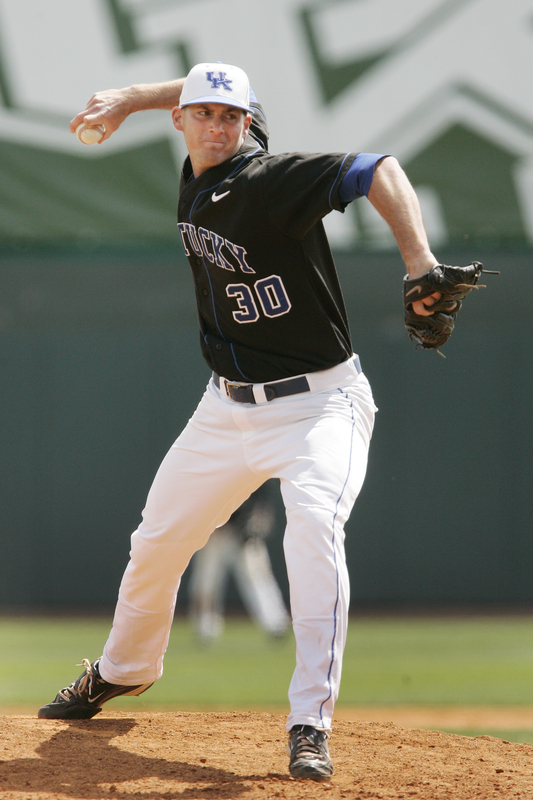 Former UK first baseman Ryan Strieby was 2-5 with one run scored for AAA Toledo. Former UofL third baseman Chris Dominguez was 2-4 with two runs scored for high A San Jose. Former UofL outfielder Boomer Whiting was 2-5 with one run scored for AAA Syracuse. Hawesville native and former WKU infielder Wade Gaynor was 2-5 for high A Lakeland. Louisville native Zack Cox extended his hitting streak to five games with a 2-4 performance for high A Palm Beach. Trinity alum Tyler Kuhn was 2-3 with one RBI for AA Birmingham and his hits in four consecutive games. Lexington native Robbie Ross took a loss for high A Myrtle Beach after surrendering six runs on eight hits in four innings. Danville native Patrick Cooper took a loss in his first start of the season for low A West Michigan after surrendering three runs on one hit in three and one-third innings. Each of the state’s three minor league teams’ games were rained out. 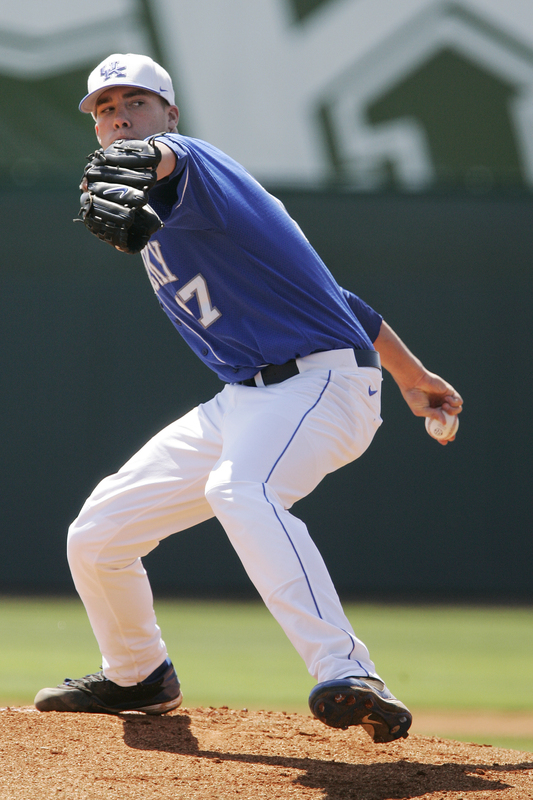 Former UK left-handed pitcher James Paxton took a loss but posted a quality start in his MiLB debut. Paxton surrendered three runs, one of which was earned, on five hits in six innings while striking out six batters and walking four. Former UK first baseman Ryan Strieby slugged his third home run of the season and went 2-3 in game one of a double-header for AAA Toledo. London native Jon Townsend was 2-3 with two doubles, two runs scored, one walk and one RBI for high A Inland Empire to extend hits hitting streak to six games. Louisville native and former Murray St. infielder Wes Cunningham was 3-5 with two doubles for low A Fort Wayne. Former UK infielder Chris Bisson was 2-5 with one double, two RBI and two runs scored for low A Fort Wayne. Lexington Catholic alum Ben Revere was 2-3 with one RBI, one walk and one stolen base for AAA Rochester. Former WKU infielder Wade Gaynor was 2-4 with one double, one walk and one run scored for high A Lakeland. One-time Madisonville resident Matt Klinker took a loss but surrendered just two runs on three hits in six innings while striking out four batters and walking two for AA Carolina. Former UofL left-handed pitcher Justin Marks took a loss after surrendering five runs on eight hits in six innings while striking out two batters and walking one. Former EKU left-handed pitcher Christian Friedrich took a loss after surrendering seven runs on 10 hits in four innings while striking out four batters and walking two. 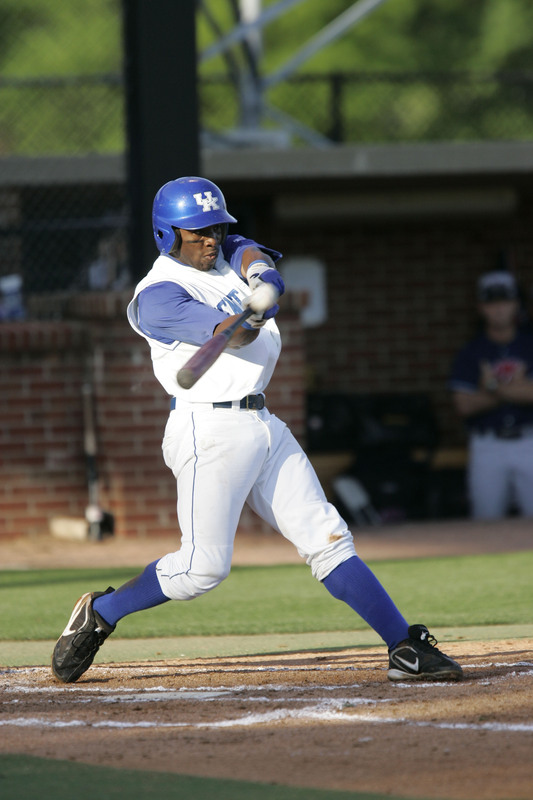 Richmond native and former UK outfielder Keenan Wiley was promoted to high A Lynchburg where he went 0-3 in his debut. The Louisville Bats held Durham scoreless through the first seven innings and held on for an 8-3 win over the Bulls. Cincinnati Reds right-handed pitcher Johnny Cueto surrendered three hits in four and two-third innings in a rehab start. 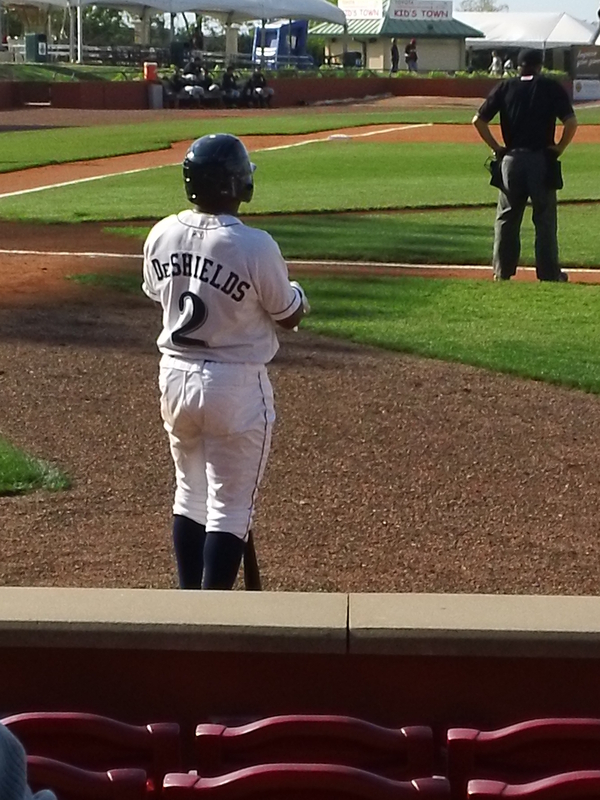 Right fielder Fred Lewis was 3-3 with one home run, three RBI and three runs scored. The Bowling Green Hot Rods rallied from a two-run deficit with three runs in the ninth inning to earn a 5-4 walk-off win over South Bend. Catcher Lucas Bailey slugged a three-run home run with two outs in the bottom of the ninth inning to give the Hot Rods the win. The Lexington Legends scored six runs over the first two innings and could not finish the rally in a 13-6 loss to Kannapolis. Second baseman Ben Orloff was 3-5 with one RBI and two runs scored, and center fielder Daniel Adamson was 3-4 with one double, two RBI and one run scored. Mt. Sterling native and former Morehead St. infielder Drew Lee was 2-4 with two doubles, two RBI and one run scored for Kannapolis in the game. 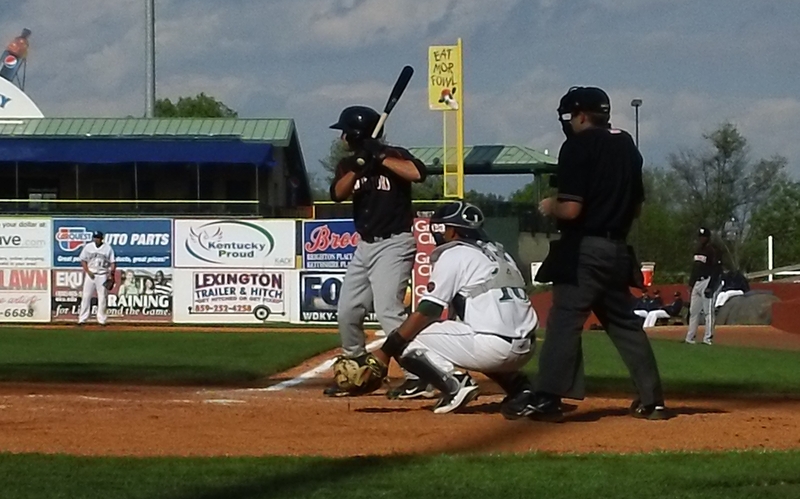 London native Jon Townsend was 4-4 with one double, one run scored and one stolen base for high A Inland Empire. Paducah native Jonathan Roof was 2-4 with one home run, five RBI and two runs scored for low A Hickory. St. Mary’s alum Shawn Roof was 2-2 with one walk and one run scored for AA Erie. Lexington native and former UK outfielder John Shelby was 2-4 with one home run, one RBI and two runs scored for AA Birmingham. Louisville native and former Murray St. first baseman Wes Cunningham was 2-4 with one double, one triple, one RBI and one run scored for low A Fort Wayne. One-time UK infielder turned outfielder Jason Kipnis, who transferred to Arizona St., was 2-5 with one triple, one home run, two RBI and one run scored for AAA Columbus.